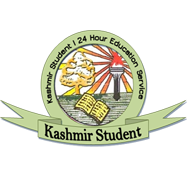 The examination department of Kashmir University seems to have been caught on a wrong foot with regard to the conduct of upcoming examinations of the final year. Apprehensions have been raised whether the department will be able to produce over 70,000 admit cards of the students within three days time. According to sources, the internal strife between various departments in the Kashmir University has put the career of thousands of students at stake, besides the department of examinations has not provided any admit cards to over 70, 000 students yet. The reason, the officials in the examination departments suggest that the Deputy Controller Examination does not pay heed to the suggestions of his subordinates and does things as per his will. According to the sources, the Deputy Controller had charted out a policy for the submission of the annual examination forms by which over 70, 000 (including fresh, private) students had to fill the forms in just three working days. 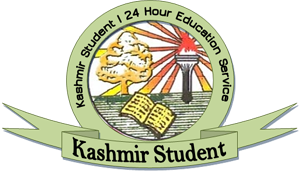 “The notice was issued on 9th October and from 10th , the University had asked the students to fill up the forms up to 15th of October but in between these days, the students were not able to avail maximum benefit of it as the banks observe half day on Saturday and holiday on Sundays, which means that just three days were given to the 70,000 students to submit the exam forms,” sources said. Sources said because of the shortage of the days hundreds of candidates were not able to submit their forms on time, as a result of which is black clouds are looming large over their career as the fear of losing a full academic year has gripped the students. “The notification was not properly charted out in coordination with the Information technology department as what used to happen previously. It was impossible for the IT department to do things within a week’s time as they had to make over 70, 000 admit cards. Up to 1st of November the examination department had not sent the details of all the candidates to the IT department while as the annual exams were commencing from 5th of November,” sources said. “This was the blunder committed by the examination department and they had to postpone the annual exams for over a week,” sources added. Sources further said the Deputy Controller of the Exams, Muhammad Yaseen Malik who is at the helm of affairs and is also considered to be the secondary in charge of the Examination Department was pulled up by the Director Information Technology for messing the things. “It was only after he (the Deputy Controller of the Exams) was flayed by the IT Director and thus the examination department decided to postpone the annual exams after coming under immense pressure from all the quarters,” sources said. As the department continues to struggle with the conduct of exams on time, the career of hundreds of students has been kept lingering by the examination department who missed the last date. “Due to the stubbornness of the Deputy controller Exams, the department will not accept any more forms of the students thus putting a question mark on their career,” sources added.